^ Twomey, Anne (2000). "Sue v Hill – The Evolution of Australian Independence". In Stone, Adrienne; Williams, George. The High Court at the crossroads: essays in constitutional law. New South Wales, Australia: Federation Press. ISBN 978-1-86287-371-1. ^ "Royal rates: What you'll pay for Will and Kate's Aussie adventure". 2014-03-06. Royal assent is the method by which a monarch formally approves an act of the legislature. 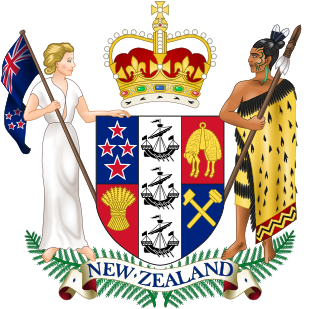 In some jurisdictions, royal assent is equivalent to promulgation, while in others that is a separate step. Under a modern constitutional monarchy royal assent is considered to be little more than a formality; even in those nations which still, in theory, permit the monarch to withhold assent to laws, the monarch almost never does so, save in a dire political emergency or upon the advice of their government. While the power to veto a law by withholding royal assent was once exercised often by European monarchs, such an occurrence has been very rare since the eighteenth century. 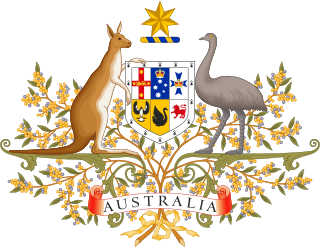 The Government of Australia is the government of the Commonwealth of Australia, a federal parliamentary constitutional monarchy. It is also commonly referred to as the Australian Government, the Commonwealth Government, Her Majesty's Government, or the Federal Government. The Monarchy of Barbados is the core of the country's Westminster style parliamentary democracy, being the foundation of the executive, legislative, and judicial branches of the government. 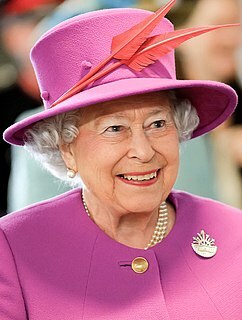 The current Barbadian monarch and head of state, since 6 February 1952, is Queen Elizabeth II. As the sovereign, she is the personal embodiment of the Barbadian Crown. Although the person of the sovereign is equally shared with 15 other independent countries within the Commonwealth of Nations, each country's monarchy is separate and legally distinct. As a result, the current monarch is officially titled Queen of Barbados and, in this capacity, she, her husband, and other members of the Royal Family undertake public and private functions domestically and abroad as representatives of the Barbadian state. However, the Queen is the only member of the Royal Family with any constitutional role. The Queen lives predominantly in the United Kingdom and, while several powers are the sovereign's alone, most of the royal governmental and ceremonial duties in Barbados are carried out by the Queen's representative, the governor-general.